Michael was born and raised in Kearny, as the fifth of seven children born to John and Sheila Gray. He attended St. Cecilia Grammar and High School, graduating in 1969. At Saints he played soccer, baseball and basketball all four years. Michael attended Quinnipiac College in Connecticut with a full scholarship to play soccer. During his college days he was active in Student Government, serving as the Student Government Treasurer during his senior year. He is also a member of TKE fraternity, of which he also served as Treasurer. He graduated in 1973 with a degree in Economics. Upon graduating, Mike embarked on a career with the U.S. Treasury Department., which would last 33 years, until his retirement 9 years ago. Mike and Diane Durning were married in May of 1978, initially living in Harrison, then moving to Kearny where they have lived since 1982. Mike and Diane had two children, Andrew and Lindsay. Mike has always been very community and civic minded. He coached Little League Baseball for three years and Biddy League Basketball for 5 years. He served as President and coach of Kearny Youth Soccer for 15 years, during which the membership went from 300 players to over 1500. He also coordinated the building of the K. Y.S. field house at Gunnel Oval. He continued his coaching days with the Thistle Travel team for five years. He concluded his coaching career by entering his Under 19 boys team in the Virginian Soccer Tournament, winning it with an undefeated record. 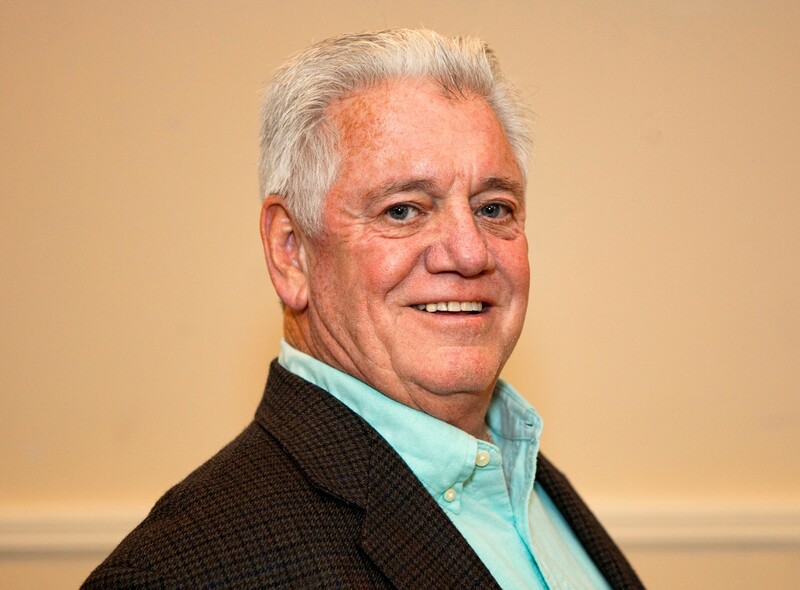 Mike has been a very active member of the Scots-American Club for 26 years, during which time he served seven years as Vice President and three years as President. During this time, he started the horseshoe league, acquired the shuffleboard table for the club and started the shuffleboard leagues. He also began other traditions that continue today such as the Annual Golf Outing and the Annual Monmouth Park Race Track Day. Mike organized boat trips around Manhattan, and during his tenure, continued the tradition of holding an Annual Scots Club Banquet. He continues to run the semi-annual blood drives. Mike is also a member of the Irish American Club, the Kearny Celtic Supporters Club and a former member of the United Irish Parade Committee. He has served as president of the Kearny High School Soccer Parents Association, the Kearny Crew Parents Association and was a member of the U.S.A. 1994 World Cup Organizing Committee. Of all the things Mike involved himself in, nothing ever came before his family. No job or chore would ever prevent him from missing one of Andrew or Lindsay’s games or events. That always came first! He was and still is always there for his family. Since the untimely passing of his beautiful daughter, Lindsay, Mike has become active in the National Brain Tumor Society. Collectively, Team Gray has raised over $90,000.00 in her memory. Jane is married to her husband Len of 36 years and is the proud mother of Greg (35) and Jeanette (32). Originally from Jersey City the family moved to Kearny in 1979. Jane is not the first honoree from the Mackesy family, her husband Len, having been selected Deputy Grand Marshal of the West Hudson St. Patrick’s Day Parade in 2006. Jane is the current Chairman of the Evening Membership Department of the Woman’s Club of Arlington, and is an honorary member and Past President of the Junior Woman’s Club of Arlington. She has been coordinating the Town wide Kearny Cleanup, for the Woman’s Club, every April for 22 years. Jane is an active member of Our Lady of Sorrows Parish, currently serving as a Trustee and for many years as a Lector, Extraordinary Minister, Rosary Society member and Giving Tree coordinator. 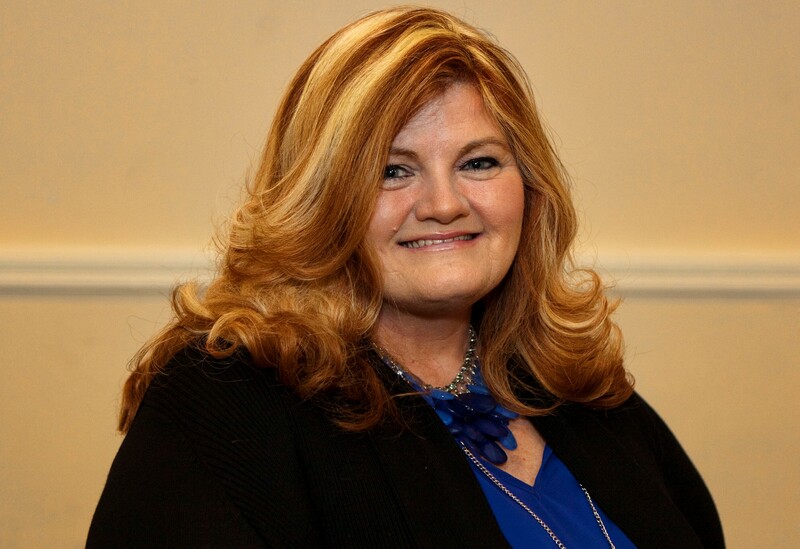 As an amateur genealogist she enjoys researching her Irish ancestry and is the immediate past-president of the Hudson County Genealogical and Historical Society. Jane is completing her 26th year in the Kearny Public Schools, first as a Health teacher and currently as the School Counselor at Roosevelt School. She is on the Kearny Municipal Alliance and coordinates the Peer Mediation program in the school district. Georgina (Gina) O’Donnell was born in Glasgow, Scotland on April 26, 1958 to Patrick O’Donnell, a lifetime member of the Irish and Scot’s American Clubs and Agnes Doyle , 2004 West Hudson Deputy Grand Marshal, where she lived with brothers Neil and Pat until she was 7 years old. On October 5, 1965 the O’Donnell family permanently immigrated to the United States. Settling in Kearny, NJ, the family eventually welcomed their youngest member Andrew, who would go on to become a decorated member of the Kearny Fire Department. After the divorce of her parents in the early 1970’s, Gina helped her mother to raise her three brothers (including the late Neil, who was 2 years older) in Kearny until they were old enough to raise their own generation of Kearny families. In 1983 Gina O’Donnell married Brian Wiltrout, who had settled in Kearny at this time, and they began their life together. They welcomed and raised three children; Ashley, Dale, Brian. Being active members both in Kearny youth activities and business, the couple spent time coaching and sponsoring Kearny Recreational Soccer and Baseball teams as well as founding the businesses All Star Plumbing and Heating for him and Gina’s Hair Design for her. In early 1998 Brian was diagnosed with late stage pancreatic cancer and by May of the same year Gina was forced to say goodbye to the love of her life. Always a fighter, Gina did everything she could for her children to ensure they continued to have as normal and happy a childhood as was possible without their father. Gina somehow managed to raise all three children, relatively on her own but not without help, mostly unscathed and to be happy healthy and productive adults. Following the loss of her husband Gina focused on lending her talents to cancer victims and began buying and styling wigs for both fighters and survivors at no cost to them. Keeping this project free on the already strained budget of a single mother with three mouths to feed meant getting creative. Frequent trips to the more unsavory comers of Newark and Jersey City to find the best prices for materials quickly became necessary. Gina has not only been a resident of Hudson County and more specifically Kearny since the fall of 1965, but also a business owner and contributing member of Kearny’s charm since 1985. Gina continues to own and operate Gina’s Hair Design on Kearny Ave just as she has for the past 28 years, opening on April Fool’s Day of 1985. Gina’s “shop” as her family and friends affectionately call it has become a Kearny staple all on its own, much like Gina’s mother Agnes’ long stint at the Greek’s diner was. It’s a place where people gather not just for a cut and color, but to stop and chat and learn the latest events of the town and the people in it. Gina and her shop are also ever involved when someone needs a hand, she has never missed an opportunity to support not just the schools and organizations by selling raffles and chocolates, but to donate gift certificates and baskets whenever a friend or fellow resident has been in need.